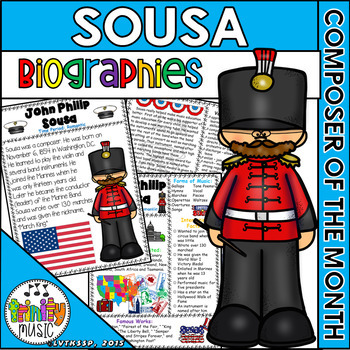 These biographies are an easy way to have your students read and learn about the composer, John Philip Sousa. 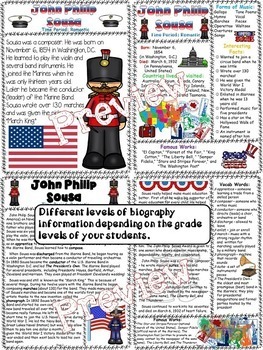 There are six versions of three different biographies and each comes in color and in black white. 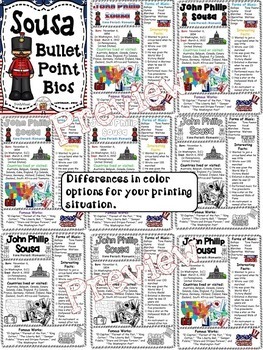 You can print these out for each student, print up only a few copies to use at a workstation and/or project one up on your Smart board.